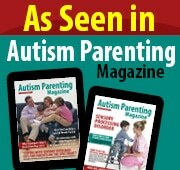 Do you have any ideas for helping my autistic child make friends? I recently started to volunteer in my daughter’s kindergarten classroom (she’s in a full inclusion setting) and I noticed that although there are children who seek her out to play that basically, my daughter has no idea what to do with them. I asked her teacher for help and she suggested that I contact you, Sara--Whittier, CA. Play dates, up to 3 X a week, with typical developing peers are a critical intervention strategy for children impacted with autism. In every classroom across the Americas, there are children who are what I call “soft souls.” These are neuro-typically developing children who not only tolerate the idiosyncratic behaviors of children on the spectrum, but actually embrace our “kids with needs.” These “soft souls” encourage, cajole and demand from our impacted children, social interaction and while children with autism may appear to be socially reluctant with an adult, they are usually very willing and interested to be involved with these peers. Wishing you happy and playful times ahead. Yours, Esther B. Hess, Ph.D., a.k.a. The Developmental Doc.